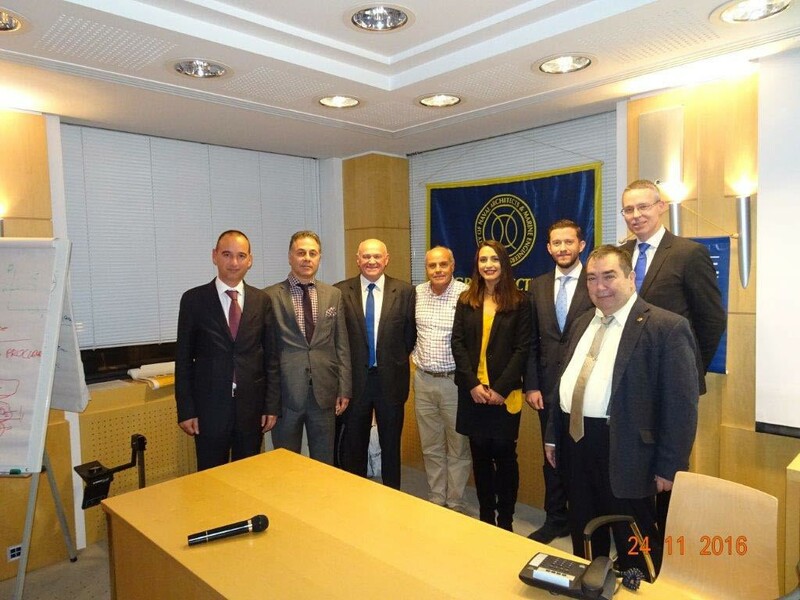 At the third Greek Section meeting for the 2016-2017season on November 24th, 2016 a joint presentation was given by Messrs. Tom Kennedy and Dimitrios Tsoulos representatives of two pioneering companies in ballast water treatment, Optimarin AS and Evoqua Water Technologies Ltd. respectively. The meeting started with Mr. Tom Kennedy who approached the topic by making reference to Optimarin Ballast Water Treatment Technology. He started his presentation by giving some background information on the company, its evolution and how it managed to develop one of the first systems for environmentally friendly purification of ballast water worldwide. He mentioned the recent obtainment of IMO Type Approval in 2009 as well as the company’s future goal to be one of the first companies that will receive Full USCG Type Approval. Although Mr. Kennedy recognized the existence of various methods for purifying ballast water, he highlighted Optimarin AS choice to pursue a solution that does not use any chemicals, leaves or residual products that are harmful to the ocean or the environment. He presented the benefits of this choice and made reference to Optimarin AS accomplishment to install the world’s first ballast water treatment system on board the cruise ship Regal Princess in 2000. Nonetheless, company’s vision is to have the most environmentally friendly ballast water purification system in the world, installed on as many ships as possible. Once Mr. Kennedy completed his presentation Mr. Dimitrios Tsoulos took the lead and approached the topic by bringing into light the additional value and return on investment that a Ballast Water Management System (BWMS) can provide through optional dual purpose function as a marine growth prevention system, and the unique features that help to keep the filter at peak operation in some of the most turbid ports around the world. Based on real life experience he explained how Evoqua has managed to prolong filter screen life from 5 to 10 years or even longer with reduced clogging risk utilizing a patented trickle method within a BWMS. The combination of filtration followed by in-situ production of biocide from seawater via electrochlorination was presented in this respect showing its benefits. Just like Optimarin AS system, Evoqua’s system is also in the final phases of testing for USCG Type Approval under NSF International in the U.S.A.
A Q&A session succeeded the presentations, while during the post-meeting reception attendees had the chance to meet with representatives from all segments of maritime industry, discuss and share their ideas. The meeting was attended by fifty-two (52) members including students and professionals and twelve (13) non-members. The meeting was broadcast to SNAME members worldwide. More than twenty (20) members attended it virtually. Mr. Kennedy’s presentation can be found here. Mr. Tsoulos’ presentation can also be found here.